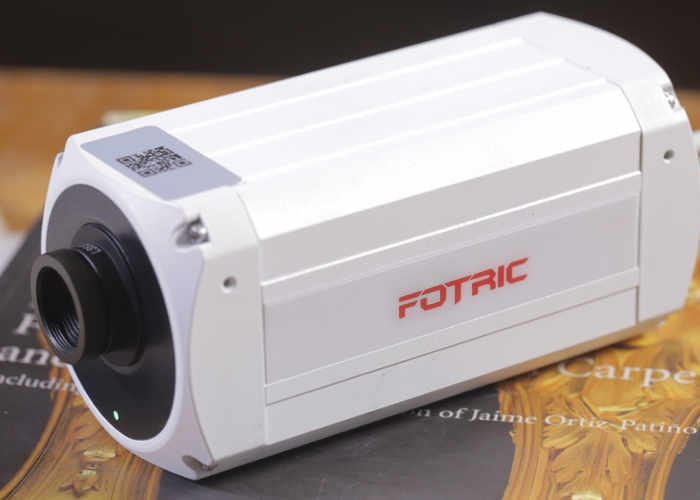 Fotric Precision Instruments have this week unveiled a new cloud-based thermal camera which can be used for a number of different applications and comes complete with its own smartphone companion application allowing you to view imagery directly from your mobile device. The Fotric 123 cloud-based thermal camera detects hotspots and sends visuals directly to your smartphone when alerts are set allowing you to use the system as an early fire alert device. Watch the video below to learn more from the developers based in Texas were taken to Kickstarter this week to raise the $10,000 they require over the next 60 days to go into production. Fotric 123 promotes smart temperature-based algorithm to detect potential fire formation. The infrared thermal camera with professional infrared sensor (80×80 pixels) continually monitors and analyzes object temperature. Once it detects abnormal heating condition, the built-in fire alert algorithm analyzes the whole environment data and triggers fire hazard alarm if needed. Do you know that fire hazard can be detected well before a fire starts? Fotric 123 intelligently detects unusual object heating and triggers fire alarm with a sensitivity of 0.1°C. Fotric 123 features smart cloud-based program to monitor and send early fire alert. User can view the thermal video in real-time on the smartphone. When any unusual and suspicious temperature condition occurs, the information is uploaded onto the cloud server and the fire hazard alert is instantly transferred to smartphone for user monitoring. Fortric 123 sees object’s surface temperature rather than visible light. Its intelligent algorithm minimizes false alarms due to ambient lighting, and therefore offers higher detection accuracy regardless of surrounding light conditions. Fotric 123 detects thermal conditions in spite of smoke and fog, therefore achieves the visual monitoring of potential fire hazard. In the case of active fire alarm, it pinpoints the correct fire source and advises the safest evacuation route. For more information on the new Fotric 123 jump over to the website for details by following the link below.